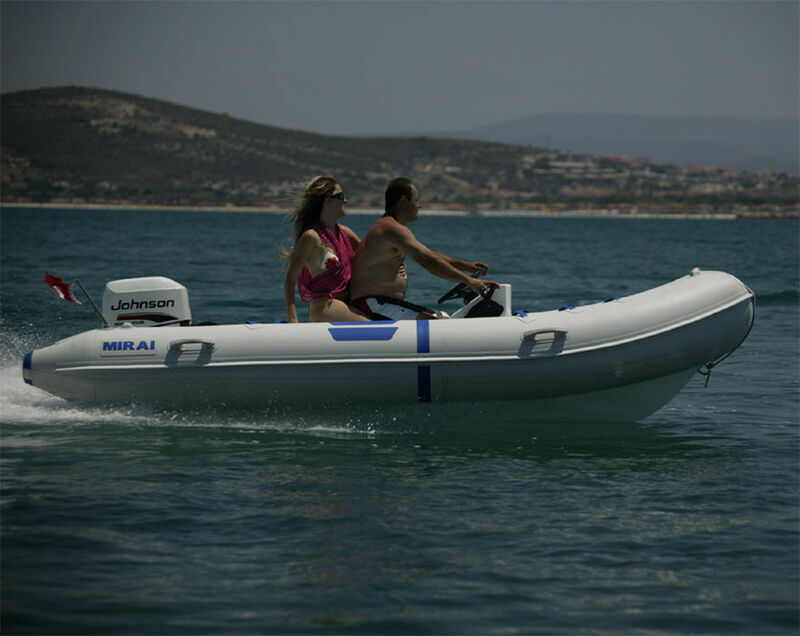 outboard inflatable boat / RIB / with jockey console / 6-person max. The boats are manufactured from extra quality PVC material, and tubes are manufactured with Hot air welding, instead of gluing. Our boats are manufactured to last with 4 air tight compartments, and equipped full length teardrop rubbing strake. Our boats are light weight, and lower operation costs, still served with high quality standards of MIRAI. outboard inflatable boat 2,40 mt. 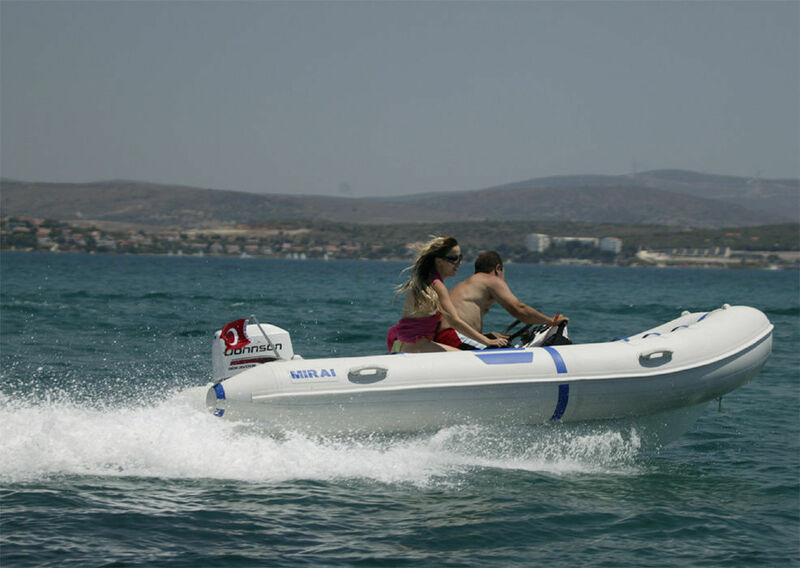 outboard inflatable boat / RIB / fiberglass / 7-person max. X-RIB 5,80 mt.